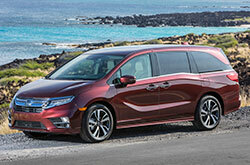 Honda's family favorite minivan just got a major facelift, making it even more appealing than before. Featuring refreshed styling on the outside and inside, you're sure to be impressed with all that this swagger wagon has to offer, as noted by 2018 Honda Odyssey reviews. For the 2018 model year, the voluptuous van gets a new chassis and a revamped rear suspension that help pave the way for a smoother ride and class-leading cargo space. The powerful V6 has also been reprogrammed, giving the van more power than before (280 horsepower). Keep reading to learn more about the 2018 Honda Odyssey in Fort Worth. The new Odyssey is now quieter than its predecessor, thanks to the addition of thicker door seals and sound-dampening material in the floor. Every trim also gains a new Cabin Watch system that allows drivers to see their passengers on the large central display. 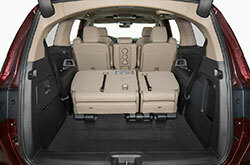 Drivers can also take advantage of the added Cabin Talk technology that lets them communicate with second- and third-row passengers via the stereo speakers. The 2018 Honda Odyssey in Fort Worth is available in LX, EX, EX-L, Touring and Touring Elite trims. Other than the standards already mentioned, the van comes with dual-zone air-conditioning, power front seats, Bluetooth and a seven-speaker sound system. 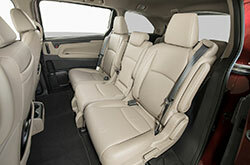 Other amenities such as navigation, leather seating and driver-seat memory settings can be had on top-level trims. 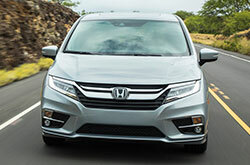 2018 Honda Odyssey reviews praise the vehicle's gutsy 3.5-liter V6 that now delivers up to 280 horsepower, which is a boost in power compared the old engine that offered 248 hp. The powerplant can also make up to 250 pound-feet of torque. Power is pushed to the vehicle's front wheels through either a nine-speed or an available 10-speed automatic transmission. Each Odyssey trim is equipped with a rearview camera as standard, which makes parking and backing up easier than ever before. Other advanced safety gear includes automatic emergency braking, lane keep assist, road departure mitigation and rear cross-traffic alert. A standout van that is sure to haul your brood around town in style, the Odyssey is definitely worth considering as your next new vehicle. 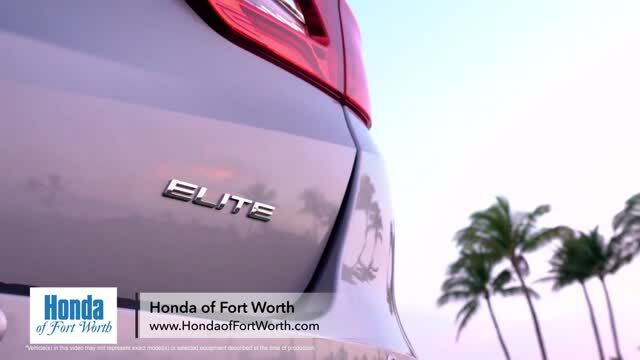 Come test drive one today at Honda of Fort Worth. 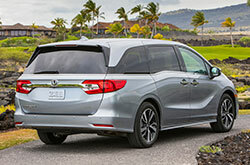 Find out why people who are browsing for new vehicles near Dallas consider the beloved 2018 Honda Odyssey rather than the 2018 Kia Sedona, Toyota Sienna, Nissan Quest and Chrysler Pacifica. You may enjoy its marvelous in-car technologies and sleek styling among other characteristics. Look over data from our review too determine if the 2018 Honda Odyssey is ideal for your lifestyle. Also make sure you take a peek at Honda finance and lease offers on our site! 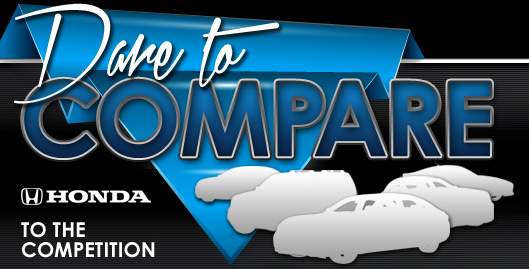 Shopping for a Honda Odyssey and looking for money-saving factory offers? Then remember to visit us pronto! To make an informed purchase, it's imperative to look at 2018 Honda Odyssey reviews; we endeavor to help with this by providing the details and specs you need right here on our site. Pin down the brand-new Honda Odyssey at Honda of Fort Worth, where you can go on a test drive and get to know the model upfront. If you can't wait to see it at our dealership, take a glance at its chic design in the enclosed video before you stop by.